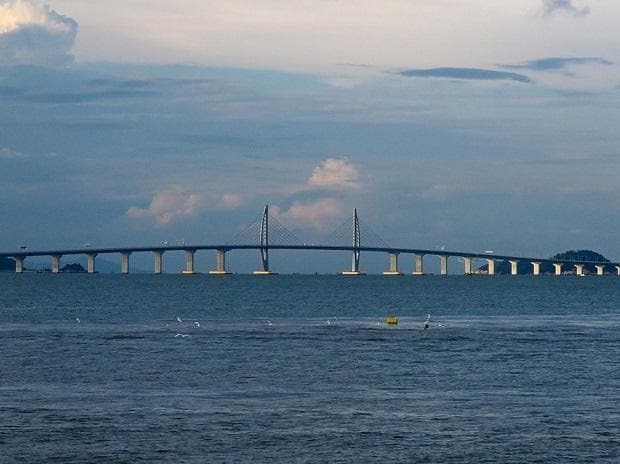 Chinese President Xi Jinping is expected to attend a ceremony in Zhuhai on Tuesday, along with top officials from Hong Kong and Macau, with the bridge opening to public traffic Wednesday, CNN reported on Monday. The 55 km bridge was originally due to open in 2016, but repeated delays pushed that to this year. It is a key element of China's plan for a Greater Bay Area covering 56,500 square km across southern China, and encompassing 11 cities, including Hong Kong and Macau, that are home to a combined 68 million people. Despite the focus on drive time, private car owners in Hong Kong will not be able to cross the bridge without a special permit. Shuttle buses cost $8-$10 for a single trip depending on the time of day. The bridge project has come in for fierce criticism in Hong Kong, where there was little public demand or appetite for greater links to either Macau or Zhuhai, and fears the city will be swamped by tourists from mainland China, CNN said. In 2016, Hong Kong saw 56.7 million tourist arrivals, compared to 37.6 million for the UK, a much larger country.